Clients can avail Sulphur Lumps from us in packaging of optimum quality. Using advanced methodologies and latest machinery, this range of chemicals is formulated at our in house chemical laboratories. 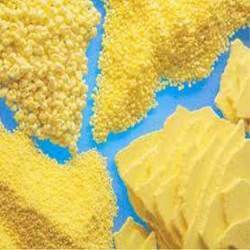 The chemical Sulphur Lumps offered by us in this range is processed at the vendors' fully automated factory using advanced and latest hot & cold process technology. Our organization is instrumental in offering Sulphur Lumps that comply with prevailing industry standards. This chemical is widely demanded for manufacturing detergents, plastic, explosives and others. Chemical offered by us in this range is available in fine granular form, and is reckoned in the market for purity. We offer quality-tested sulfur lumps in appropriate packaging.